What happens when you quit sugar for 21 days? We went on a 21-Day No Sugar Challenge and this is what it did to our bodies, energy levels and overall happiness (No Sugar Challenge results summarized below). We are very health conscious already and try to eat as clean and healthy as possible. However, we do from time to time like to eat a piece of high-quality dark chocolate, get a pastry together with our Sunday coffee, or eat out without controlling ourselves too much. For 3 weeks we said NO to all of that. HOW DID WE FEEL DURING THE CHALLENGE? We felt constant hunger, especially during the first week. Our bodies were getting used to the new diet and we lost some weight, which made us crave for more food. We experienced some sugar cravings during the first days, but during the second week the cravings were gone. Sugar can get very addictive, and since we cut it out completely, our bodies no longer asked for it. In the first weeks we felt tired and fatigued – at one point it got difficult for Dovile to keep up with her regular fitness routine. This is probably linked to the sugar withdrawal and macronutrient changes in the diet. We had to learn to read labels and be extra cautious when eating out. For example, we tried to find sugar/sweetener free bacon in our local grocery shop, but didn’t manage! Also, when eating out we tried to avoid all bakery products and sauces. HOW DID OUR LIFE CHANGE? We prepared almost every meal at home so we could control easier the ingredients. Even if we already cook a lot at home and would bring our lunches to work rather frequently, it did require additional planning and effort. We improved our baking skills. To motivate ourselves and our friends, we made our own healthy bread, cookies and brownies several times during the diet. To be honest, it was probably the most baking I´ve done over the past years! We said no to all goodies at work – bread and snacks during the aperos, birthday cakes and other unhealthy foods. Overall we lost ca 1kg of weight each. Most of it we lost during the 1st week when we naturally reduced our caloric intake by quitting sugar. This, however, made us feel hungry and unhappy, and hence in the second week we added more healthy fats to our diets to compensate caloric deficit. This stabilized our weight and made us much happier and more satisfied. Dovile´s acne pro- skin improved slightly. The change was not drastic, but the skin did clear out a bit. Dovile´s sleep quality improved during the first week, however, in the second and third week it got worse again. So overall, no change. The need for sugar has reduced – even a couple of weeks after the challenge our desire to eat sugar is rather low. 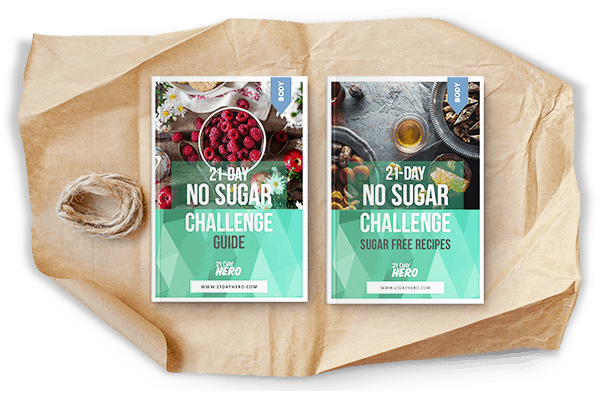 DO WE RECOMMEND NO SUGAR CHALLENGE? YES, definitely. If not so much for the results, then at least to get more aware of how much sugar we consume, even if you think you are already very healthy. WILL WE CONTINUE A LIFESTYLE WITHOUT ANY ADDED SUGAR? YES and NO. We will try to consciously avoid all added sugar, however, we will allow ourselves occasional cheat meals. Life is too short, and as long we can find balance, it’s all good! Who said that a small piece of premium dark Swiss chocolate is not beneficial for our souls? Thank YOU for watching! We are super curious to hear whether you learned something new and if you had a similar experience? Each of your comments and subscriptions are very important to us and we appreciate you guys taking the time!